Al-Nusra Front operatives advancing to Tall Al-Sarwu and Tall Al-Maqbarah from the rural area south of Aleppo (Al-Nusra Front’s Twitter account, November 5, 2015). Damaged truck with the inscription: “The Islamic State - the Raiders Battalion - Nineveh” (ISIS-affiliated Twitter page, November 7, 2015). Abu Aisha the Egyptian, the ISIS suicide bomber who detonated the car bomb in Al-Arish. According to media reports from the battle zones, the Syrian Army’s ground offensive, with Iranian and Russian air support, has been halted.The rebel organizations, led by the Al-Nusra Front and ISIS (which are collaborating in face of the common enemy) took the initiative and are now expanding the areas under their control south of Aleppo and north of Hama.If they continue to advance, the rebel organizations are liable to cut off the Syrian forces in the area of Aleppo from their logistic hinterland in the areas controlled by the Syrian regime. On the other hand, according to Syrian media reports, the Syrian Army managed to lift the siege on the Kuweyres military airbase, east of Aleppo. Additional information published in the media reinforces the conclusion that the Russian plane was downed in Sinai as a result of the explosion of an IED, planted on board in Sharm el-Sheikh. 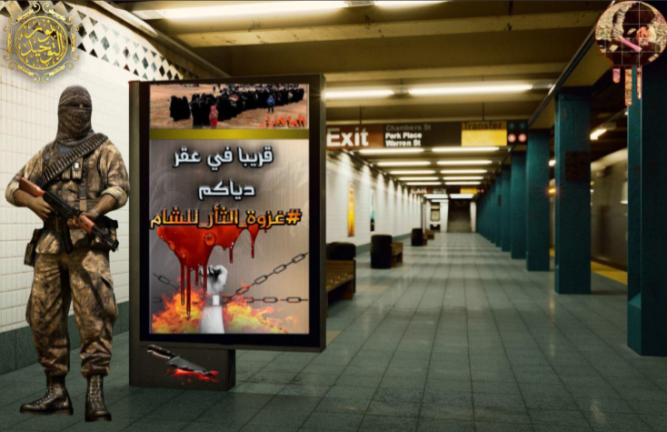 ISIS, on its part, began a media campaign (including in Russian) presenting the interception of the plane as an act of revenge for the airstrikes carried out by the Russians against it in Syria. ISIS spokesmen threatened to carry out additional acts of revenge, including in Russia itself. In the meantime, ISIS continues to establish its control over the important city of Sirte, in northern Libya. ISIS is brutally forcing local residents to obey the strict Salafist code of conduct (as it has done in Iraq and Syria), imposing taxes and detaining or killing its opponents. At the same time, ISIS is establishing its military infrastructure in Sirte, including through the establishment of a new training center for new fighters who will fight in the ranks of ISIS throughout Libya. This week, the US and coalition forces continued their airstrikes against ISIS targets. During the week, a few dozen airstrikes were carried out by means of fighter planes, attack aircraft, and UAVs. The United States reportedly resumed its airstrikes in Syria over the past few days, after having stopped them almost entirely in recent weeks (The Guardian, November 8, 2015). Syria– over fifty airstrikes were carried out, concentrated in the areas of Marea, Al-Hasakah, Al-Hawl (southeast of Al-Hasakah) and Abu Kamal. The airstrikes damaged ISIS tactical units, battle positions, bunkers and buildings used by ISIS, among other things. Iraq– the airstrikes were concentrated in the areas of Albu Hayat (south of Haditha), Baiji, Mosul, Ramadi, Sinjar, Sultan Abdullah (south of Mosul), Fallujah and Kisik (west of Mosul). The airstrikes damaged ISIS tactical units, battle positions, vehicles (including car bombs), rocket launching positions, buildings and bunkers, among other things. According to US Secretary of Defense Ashton Carter, there is a high probability that the US will send additional American troops to fight against ISIS in Syria. This is contingent on the US finding suitable partners from among “the local forces” in Syria. According to Carter, if the United States finds other organizations in Syria that have the motivation and ability to fight against ISIS and are prepared to do so, then it will send more troops there (ABC News, November 8, 2015). Britain reportedly intends to escalate its military campaign against ISIS in Syria as soon as Parliament reaches a consensus to do so. In this context, Chief of the Defence Staff of the British Armed Forces General Nicolas Houghton said it makes no sense for Britain to attack targets in Iraq but not in Syria, since ISIS has bases in Syria as well. He called on the British government to authorize the Army to attack in Syria as well, since Britain’s current role in the battle against ISIS is incomplete (Sunday Mirror, November 8, 2015). French Defense Minister Jean Yves Le Drian reported that on November 8, 2015, France attacked an ISIS oil supply center near Deir al-Zor, near the border between Syria and Iraq. This was France’s third airstrike in Syria since French President Hollande’s announcement that France was joining the coalition against ISIS. On the two previous occasions, the French attacked training camps for foreign fighters who had allegedly planned to carry out terrorist attacks in France (Al-Arabiya TV, November 9, 2016). Speaking before Congress, US Assistant Secretary of State for European and Eurasian Affairs Victoria Nuland said that a large part of Russia’s airstrikes were directed against targets that did not belong to terrorist organizations. In response, the Russian Ministry of Defense noted US officials did not explain where the terrorist organizations’ positions were located, giving rise to the suspicion that the United States is by no means interested in sharing this information with other countries (Sputnik, November 5, 2015). According to the Russian Foreign Minister, Russia does not attack targets that are not related to terrorism and that threaten Syria’s existence, and the American allegations in this regard are unacceptable (UN News Center, November 7, 2015). A network calling itself The Caucasus Fighters, made up of Chechen and other operatives from the northern Caucasus, has issued a video showing weapons allegedly seized from a Russian force operating in the Latakia region. 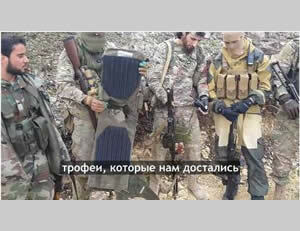 The video shows the unit commander, codenamed Hamza the Chechen, next to another fighter in the unit holding what he claims is a Russian bulletproof vest. According to Hamza the Chechen, the Russians withdrew, leaving behind large quantities of weapons and equipment (The Long War Journal, November 6, 2015). The rebel organizations continue to expand the area under their control south of the city of Aleppo.This week the Al-Nusra Front took over a few strategic locations in the village of Al-Wadihi.Thus the rebel organizations are approaching the main highway between Aleppo and Hama, and are threatening to cut off the Syrian Army in and around Aleppo from its logistic and military hinterland. On the other hand, the Syrians reported that they had managed to remove the siege on the Kuweyres military airbase, east of Aleppo. This week, the Al-Nusra Front expanded the areas under its control, as part of what it calls the second stage of the battle to regain control of the southern part of Aleppo. This week, Al-Nusra Front operatives managed to take over a few strategic locations in the area of the village of Al-Wadihi, about 11 km south of Aleppo. The places they took over are Tall Al-Sarwu, Tall Al-Maqbarah and Tall Teena Khaled (Twitter accounts affiliated with the Al-Nusra Front, November 5, 2015). An Al-Nusra Front’s Twitter account posted photos showing its operatives firing rockets at an Iranian force in Tall Al-Sarwu and Tall Al-Maqbarah (Al-Nusra Front’s Twitter account, November 5, 2015). On October 22, 2015, the Iranian Fars News Agency aired a video filmed by an Iranian broadcasting authority reporter who had been permitted to enter the joint Syrian-Iranian operations room in the area of Aleppo. The video shows maps, aerial photographs and two-way radios used by the operations room to command the military forces carrying out the attack. On the wall there is a poster of Imam Khomeini, Supreme Leader Khamenei and another unidentifiable figure (possibly President Bashar al-Assad). Based on an examination of the names of the villages that appear on the maps and aerial photographs in the war room, compared with media reports from the same day, it is evident that the joint operations room commanded the Syrian Army’s offensive (aided by Iranian fighters) that took place on October 22, 2015, in the rural area south of Aleppo. According to the Iranian reporter, the operations room used UAVs to obtain current photographs of the positions and movements of the jihadi rebel organizations. The video boasts that “the Syrian Army is enjoying one victory after another in southern Aleppo” and liberating areas that had been occupied by “the jihadi forces (called “the takfiris” or “the terrorist enemy” by the Iranian reporter). The report also praises the considerable experience that the Syrian Army is gaining and its military capabilities. 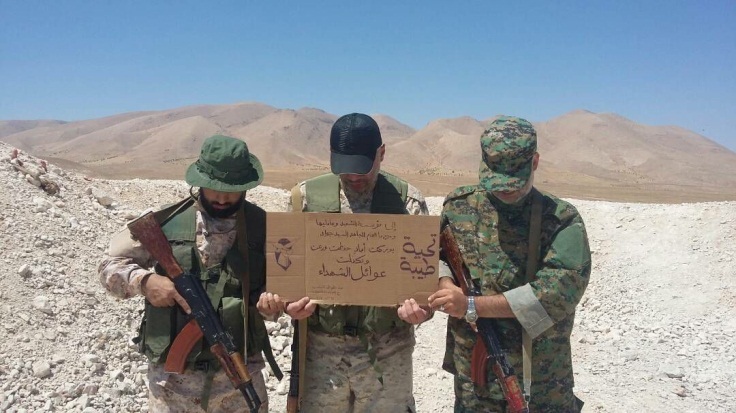 In retrospect, however, it seems that these optimistic reports are greatly exaggerated and that the Syrian Army’s attack was a failure, which was manifested, inter alia, in heavy losses among the Iranians who were in the area and supported the Syrian Army (around 46 fatalities so far). Now the rebels are conducting a counterattack, expanding their control over the rural area south of Aleppo, and threatening to cut off the Syrian Army and the forces that support it (Iran and Hezbollah) from their hinterland. According to reports on media channels affiliated with the Syrian regime and Hezbollah, the Syrian Army has managed to lift the siege on the Kuweyres military airbase, east of Aleppo. According to these reports, the Syrian Army managed to take over a few villages near the airbase, which was then entered by a Syrian Army infantry force (Al-Manar TV, November 10, 2051). Eight Hezbollah operatives were reportedly killed during the operation to lift the siege (SNN, November 10, 2015). 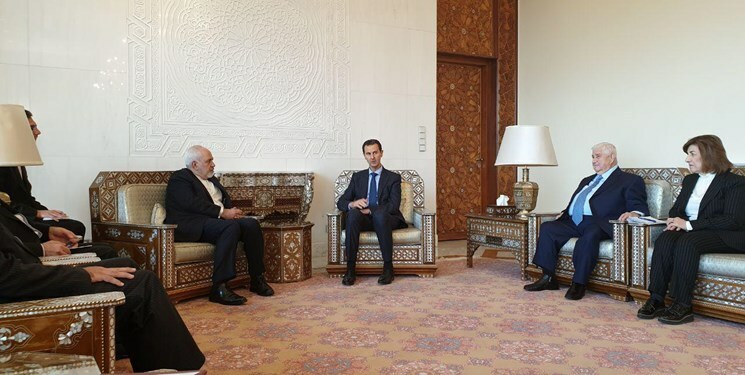 According to a report by the Syrian news agency (November 10, 2015), Syrian President Bashar al-Assad spoke on the phone to the airbase commander and the commander of the force that lifted the siege, congratulating the force that carried out the operation. Concurrently with the military effort south of Aleppo, the rebel organizations continue to expand their control in the rural area north of Hama, threatening to cut off the international highway between Hama and Aleppo. 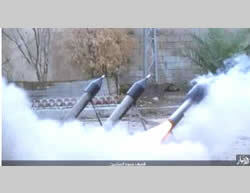 This week, the battles were concentrated in the area of the town of Morek, north of Hama. Operatives of a jihadi military framework by the name of Jund Allah, a group affiliated with Al-Qaeda, took over the town of Morek. This is a town located on the main road between Aleppo and Hama, and its takeover threatens to cut off Aleppo from the main traffic artery leading to the south. Russian fighter planes repeatedly attacked rebel positions on the outskirts of the town (Khatwa, November 5, 2015). Following the takeover of the town of Morek, the rebel organizations worked to expand their control over the rural area north of Hama: on November 6, 2015, the rebel forces, led by the Ahrar al-Sham organization and a number of other Islamic organizations, reportedly captured two towns from the Syrian regime forces: Atshan, located about 30 km northeast of Hama (east of Morek) and Umm Hartayn, near Atshan. At least 16 Syrian Army soldiers and a number of Islamic rebel organization operatives were reportedly killed in these battles. Russian planes attacked in this sector, in order to provide air support for the Syrian Army. Battles were also waged between the two sides on the front to the north and northeast of the town of Ma’an, about 24 km north of Hama (syriahr.com, November 6, 2015). Jaysh al-Fatah, led by the Al-Nusra Front, attacked the villages of Kafraya and Fu’ah, northeast of Idlib. The attack took place in response to the so-called “violation of the ceasefire” by Russia (Al-Durar al-Shamiya, November 4, 2015). In September 2015, a six-month ceasefire involving Al-Zabadani and the Shiite villages of Fu’ah and Kafraya northeast of Idlib was declared. The agreement includes the evacuation of 10,000 civilians from Fu’ah and Kafraya in cars belonging to the Red Cross, in exchange for the departure of 500 militants of the rebel organizations from Al-Zabadani (LBC, September 25, 2015). According to a report from November 6, 2015, a pregnant German journalist was abducted by the Al-Nusra Front operatives in the town of Salqin, about 29 km northwest of Idlib. The journalist had entered Syria illegally via the Turkey-Syria border. German government officials are negotiating with the Al-Nusra Front over her release, in return for a ransom of EUR 6 million. The journalist’s name and place of employment are unknown (alkhaleejonline.net, November 6, 2015). According to recent media reports, Russian airstrikes have caused great destruction in Al-Raqqah, ISIS’s so-called capital. The main bridge connecting the city of Al-Raqqah to its periphery was reportedly attacked, among other things. According to local residents, ISIS, which controls the city, has cut off the city’s water sources and does not allow its residents to go to the Euphrates River to fetch water. The supply of electricity in the city has been disrupted and electricity is available only during predefined hours. ISIS operatives have also set up many checkpoints on the main streets of the city and in its residential neighborhoods (Zaman al-Wasl, November 4, 2015). 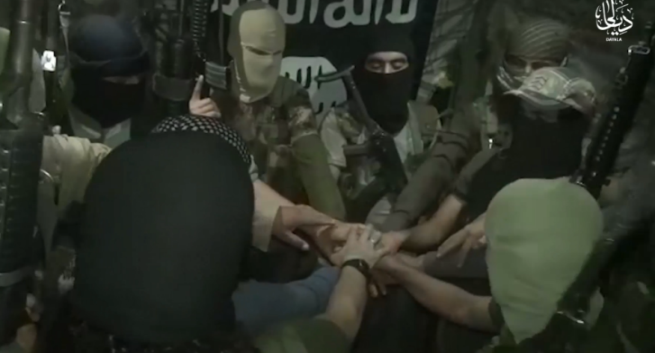 ISIS operatives reportedly released a group of 37 Syrian Christians, part of a group of 200 Christians who were abducted by ISIS in February 2015. The group returned to the village of Tel Tamer, in the Al-Hasakah province in northeastern Syria. According to members of the group, negotiations to release the remaining captives continue. This is the second group of Christians released by ISIS in the wake of negotiations (catholicherald.co.uk, November 7, 2015). Fighting between ISIS and the Iraqi Army continues around the city of Ramadi and in Samarra, north of Baghdad, with no significant changes on the ground. The Iraqi Defense Ministry announced that US forces operating in Iraq had finished training 4,800 Iraqi soldiers to fight against ISIS. Their training included, among other things, fighting in built-up areas and fighting against guerrilla warfare on the part of ISIS (Al-Jazeera TV, November 8, 2015). This week as well, media channels affiliated with the Iraqi Army and with the Shiite militias that support it reported attacks on ISIS targets and ISIS convoys in the area of Ramadi. According to a report from November 5, 2015, the Iraqi Army attacked an ISIS convoy, killing many ISIS operatives. That same day, the Iraqi Army announced that the Iraqi Air Force had attacked three ISIS targets in the city of Ramadi and a large ISIS armory (Al-Sumaria channel, November 6, 2015). According to a report from November 7, 2015, the Iraqi Army fired Kornet missiles at a truck and two booby-trapped vehicles belonging to ISIS, northeast of the city Ramadi (Twitter page of the Shiite militias that support the Iraqi Army, November 7, 2015). On the other hand, ISIS attacked Iraqi Army positions west of Ramadi. According to a number of reports, ISIS has set up a series of obstacles around the city of Ramadi, which hamper the attacks carried out by the Iraqi Army. ISIS operatives in Ramadi have also begun to use the network of tunnels built by ISIS in order to move between various parts of the city and to reach its outskirts from the city center (Al-Hayat, November 8, 2015; Sputnik, November 4, 2015). In view of the pressure on the city of Ramadi, ISIS has apparently brought in reinforcements from other provinces in Iraq. This week as well, fighting continued between the Iraqi Army and ISIS in the area of the city of Samarra, south of Baiji. ISIS is apparently trying to put pressure on the Iraqi Army in the area of Samarra, after the loss of the city of Baiji, in order to cut it off from Baghdad. Ahmed al-Assadi, spokesman for the Shiite militias that support the Iraqi Army (the so-called popular mobilization) reported that ISIS lost 920 operatives in the battle to liberate the city of Baiji (Al-Hara, November 5, 2015). The information has not been verified. If it is correct, then a significant number of ISIS operatives died in the battle over the city of Baiji. On November 8, 2015, a double suicide bombing attack was carried out in the city of Baghdad. In the attack, two car bombs driven by suicide bombers exploded in the Shiite neighborhood of Al-Sadr, in Baghdad. As a result, seven people were killed and ten others were injured. ISIS was apparently behind the attack (Al-Quds al-Arabi, November 8, 2015). ISIS occasionally detonates car bombs in the Shiite neighborhoods of Baghdad in order to sow fear and to harm the Shiite-affiliated Iraqi government. During the week, the Egyptian security forces continued their intensive counterterrorism activities against operatives of the ISIS’s Sinai province. As part of their operation, the Egyptian security forces have carried out numerous airstrikes, mainly against terrorist bases in the areas of Al-Arish, Rafah and Sheikh Zuweid. In an extensive military operation, the Egyptian security forces detained several dozen suspects, destroyed terrorist infrastructure and confiscated weapons, cars, motorcycles and uniforms of the Egyptian security forces (Al-Watan, Al-Masry al-Youm, November 6, 2015). The Egyptian security forces also reportedly killed ten militants in the village of Al-Jura who were in charge of manufacturing rocket warheads (Al-Watan, November 4, 2015). November 8, 2015– during search operations by the Egyptian security forces in the village of Al-Mahdiya in Rafah, the forces identified two operatives attempting to plant two IEDs. After the shootout, they were killed by the security forces (Sky News, November 8, 2015). 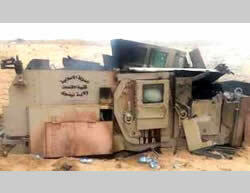 November 7, 2015 – the Egyptian security forces killed two Sinai province operatives who had planted an IED near a checkpoint of the Egyptian security forces. Another operative was killed in a clash with the Egyptian security forces (Al-Watan, November 7, 2015). November 7, 2015 – the Egyptian security forces uncovered three tunnels near the village of Al-Tawil, south of Rafah. The tunnels contained food and water, along with 200 kilograms of explosives, five automatic weapons and a large quantity of ammunition (Al-Watan, November 7, 2015). The Sinai province announced that it had detonated an IED against a minesweeper vehicle on the road between Al-Zuweid and Rafah (ISIS-affiliated Twitter account, November 4, 2015). May 7, 2015– a car bomb exploded near the officers club in Al-Arish. The blast killed six Egyptian policemen and civilians and wounded another ten. ISIS’s Sinai province claimed responsibility for the attack. According to the announcement, the attack was carried out by a suicide bomber codenamed Abu Aisha the Egyptian (ISIS-affiliated Twitter account, November 4, 2015). A senior British security source said that British intelligence had intercepted conversations between ISIS operatives with a British accent after the Russian plane crash in Sinai. They are suspected of being the ISIS operatives who prepared the bomb that was planted in the Russian plane (Sunday Express, November 8, 2015). Egyptian sources close to the investigation of the crash said that after the analysis of the two black boxes from the plane, the prevailing assessment is that an IED planted on the plane caused the crash. According to the sources, this has not yet been conclusively proven. The Russians believe that an employee at the airport in Sharm el-Sheikh planted the IED on the plane, unbeknownst to the Egyptian security officials (Al-Mayadeen, November 7, 2015). On November 4, 2015, ISIS’s Sinai province issued an audio file in which it again claimed responsibility for downing the Russian aircraft over Sinai. The speaker notes that the downing of the plane was “an imperative of Allah”. The speaker also says that ISIS will choose when and how to explain how it carried out the operation. He adds that the plane was downed on the anniversary of the pledge of allegiance (by the operatives of Ansar Bayt al-Maqdis in Sinai) to ISIS leader Abu Bakr al-Baghdadi (archive.org, November 4, 2015). ISIS’s media foundation in the Nineveh province released a video entitled “The Downing of the Russian Plane – Revenge for our People in Al-Sham (Syria).” The video shows a group of Western-looking operatives, including a Russian speaker who congratulates the Sinai province for downing the plane. He addresses President Putin directly, calling him a pig, and says that the Russians will be sorry for sending planes, equipment and soldiers to fight against ISIS, since they [ISIS operatives] will reach every one of them and will not content themselves with destroying their planes, and will carry out attacks in their country and will slaughter them. On November 8, 2015, Serbia’s Foreign Ministry issued a statement that two employees of the Embassy of Serbia in Libya (a man and a woman) had been abducted in the city of Sabratah, in western Libya (68 km west of Tripoli). No details about the employees were given (Russia al-Youm, November 8, 2015). According to local sources in Libya, ISIS operatives took control of two trucks loaded with flour, which were on their way to Jafrah, in the south of the country. The trucks were unloaded in Sirte and the drivers were released. Last week, this happened again, with trucks of flour on their way to the south of the country. The flour was unloaded and sold to bakeries in the city of Sirte for a high price (Akhbar Libya). According to ongoing reports, ISIS continues to impose its rule on the local population in the city of Sirte:ISIS has granted a final extension to shop owners in the city who have not yet paid the poll tax (jizya). 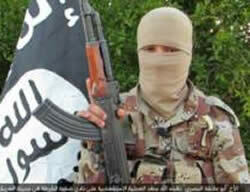 According to a jihadi source, ISIS operatives in Sirte detained five Libyan citizens who refused to pay the poll tax. They threatened to kill them if their families did not pay the tax (Al-Bawaba News website, November 6, 2015). ISIS also warned the shop owners whose occupations are prohibited by the Islamic court that ISIS set up in the city that they must change their sphere of operation (ISIS has banned the sale of cigarettes, perfume, cosmetics, women’s clothing apart from the hijab, underwear for men and women, and CDs of movies and songs). ISIS has also banned the existence of cafés for smoking hookahs, and beauty salons (Akhbar Libya, November 3, 2015). ISIS has begun the construction of a new training center in the area of Sirte with the aim of training fighters for its ranks in Libya.The center is being built in the area of Al-Sawawa, located about seven kilometers east of the city. ISIS is reportedly forcing the city’s residents to enlist, and those who refuse are detained and tortured (Al-Bawaba News website, November 6, 2015). 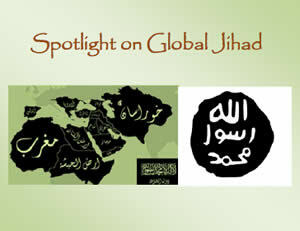 ISIS’s training center is supervised by instructors originally from the Gaza Strip and Iraq: one is a Palestinian codenamed Abu Sufyan al-Ghadan, who served in the Hamas military wing, and the other an Iraqi named Jassam Mahmoud, aka Abu Omar al-Tikriti. On November 4, 2015, a powerful explosion was reported in the area of Al-Sab’ah in Sirte, where most of ISIS’s camps in the city are located. According to subsequent media reports, this was a demonstration of a car bomb explosion which was carried out in front of Libyan minors who recently enlisted in the ranks ISIS. The minors come from Sirte, Nofaliya and Ajdabiya (Bawabat Ifriqya al-Ikhbariya, November 4, 2015; Shabakat Sirte al-Ikhbariya’s Facebook page, November 5, 2015). On November 5, 2015, Salafist Sheikh Faraj Al-Uraybi was murdered in the city of Ajdabiya, southeast of Sirte. ISIS claimed responsibility for his murder. He was the seventh Salafist sheikh recently murdered in the area. According to a security source in the city, the number of murders of imams, police and security officials, and civilian activists has reached 30 (Akhbar Libya 24, November 6, 2015; Al-Bawaba News, November 6, 2015). On the morning of November 4, 2015, two men on a motorcycle reached a police checkpoint in Baruipara, near the capital Dhaka. The two motorcycle riders, who were wearing helmets, stabbed two police officers, shot at them and then fled the scene (nytimes.com website, November 5, 2015). On November 4, 2015, ISIS’s Bangladesh province posted a claim of responsibility for the attack in the capital Dhaka (ISIS-affiliated Twitter account; justpaste.it, November 4, 2015). A document summing up the Iranian losseswill be published separately.